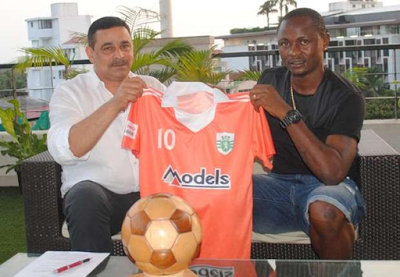 Prolific Nigerian striker Odafa Okolie, who spent a lengthy spell on the treatment table last season, is all set to don the Mohammedan Sporting jersey in the upcoming edition of the Calcutta Football League. According to Goal India, the forward was scouted by the officials of the Black and Whites almost nine years ago and initially played as a defender for Mohammedan before leaving for greener pastures. The former highest scorer of the I-League was plying his trade for Sporting Clube de Goa last season, but missed a number of matches after injuring his knee.